There's some newly published, compelling research that has now found that--are you ready--many meetings are a waste of time! Oh, I know you might find that shocking! More likely, you might be shocked that research time had to be invested to figure that out. 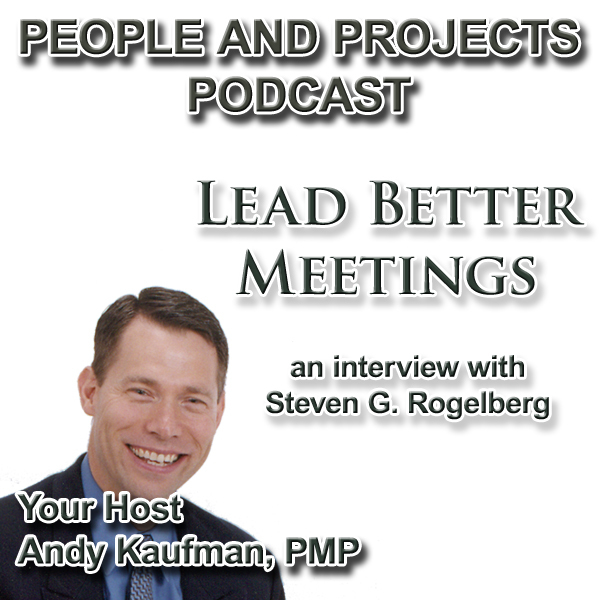 But in today's episode, you're going to hear from Dr. Steven G. Rogelberg who not only researches things like meetings, he's a great voice to help us make them better. Another Day in the Salt Mine! One of the many things I love about my job is that I get to intersect with hundreds of organizations. As I walked into the office of one my large financial services customers recently, I took a moment to watch the body language of the people as they walked through the doors to start their day. I've learned you can tell a lot about a company by watching the employees. Do you want to know what I saw? In words it might sound like this: "Well, it's another day. I'm going to be working on another project. Hopefully it will be successful so I can get another promotion (which sounds a lot better than looking for another job!)." For those who lead teams or departments or even companies, you know there are people who walk into your organization each day that just aren't as engaged as they could be. What can we do as leaders of people and projects to more effectively engage our teams? In this episode I interview author and Harvard Business professor Robert Steven Kaplan. Rob is the author of What to Ask the Person in the Mirror: Critical Questions for Becoming a More Effective Leader and Reaching Your Potential. I've learned that getting better results doesn't always come down to knowing answers. Rather, it can come from asking better questions. In this interview you'll hear from Rob what questions can help us be more effective leaders. Please take a minute to stop by our podcast Facebook page! I invite you to Like it and the join the discussion. There's a big appetite these days for advice for introverts. Lisa Petrilli's e-book shares some helpful insights. I trust you found the interview with Lisa was helpful, whether you consider yourself and introvert or if you lead a team that has one or more as members. In this premium episode, I'm going to share some additional thoughts to help us personally apply this learning. Check your Premium Feed for the People Styles material that I mention in this cast. Let me know what questions you have. Some years back I was sitting across the table from a coaching client. We were talking about what she thought was her inability to influence as effectively as she wished. In her soft-spoken manner she said, "I just feel like people don't listen to me." I have to admit that the mischievous side of me wanted to say, "Um, what was that you said?" Now, of course, I didn't say that, but let me ask you this.... Since she is quiet it's rather obvious she's an introvert, right? And it's probably fair to say that introversion is likely to hold her back from climbing the ladder, wouldn't you say? Well how about this? The coaching client was a C-level executive in a highly successful organization. Though she very well may be an introvert, making that assessment so quickly without learning more is any easy mistake to make. Can Introverts Be Effective Project Managers? 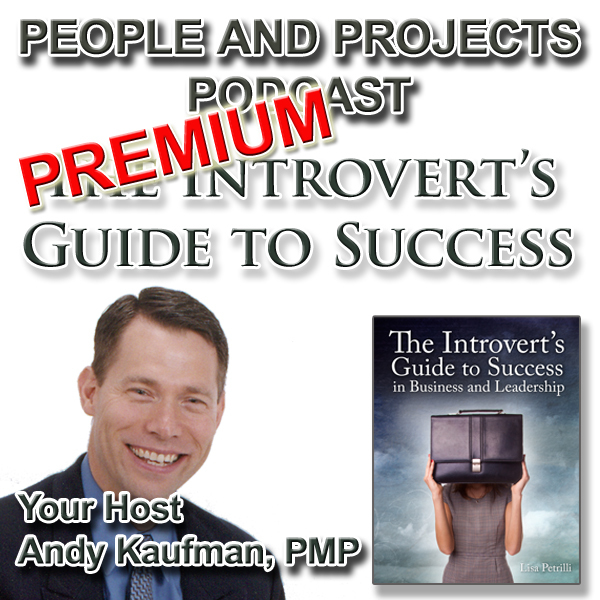 Can introverts be effective project managers and leaders? 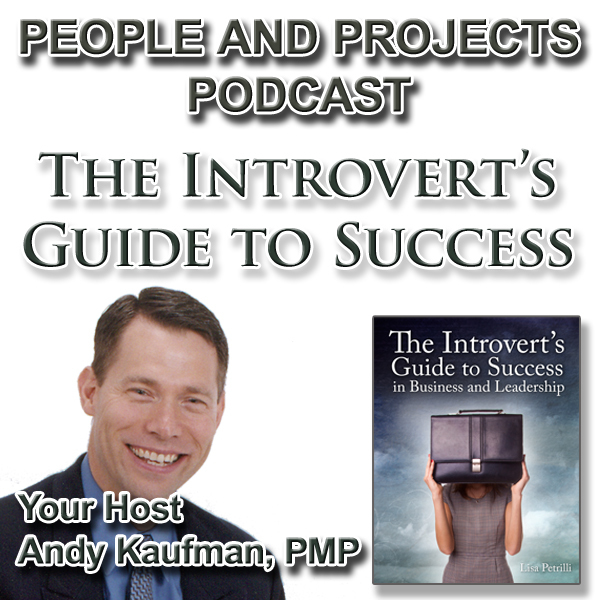 In this episode we talk about that with Lisa Petrilli, author of The Introvert's Guide to Success in Business and Leadership. To learn more about Lisa, please visit her website at LisaPetrilli.com. P.S. BTW, if you haven't listened to my interview with Devora Zack, author of Networking for People Who Hate Networking, make sure to check it out! In this episode I continue my interview with Dr. Heidi Grant Halvorson, author of Succeed: How We Can Reach Our Goals and Nine Things Successful People Do Differently. If you happened to miss the first part of the interview, I definitely invite you to check that out as well. 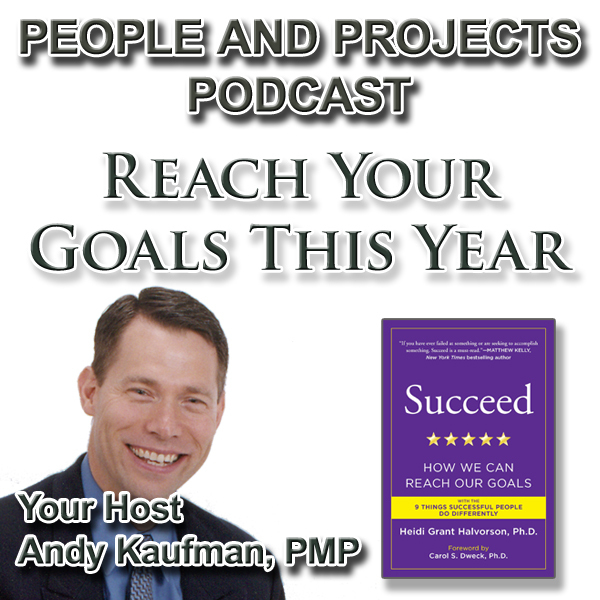 In this episode Heidi shares insights on the difference between Be Good and Get Better Goals. Also, she addresses some myths regarding willpower, visualization, and positive thinking: topics that are often miserably mishandled in popular self-help books. I can't tell you how much I appreciate the evidence-based insights that Heidi brings to these topics. I highly recommend your next steps include getting a copy of her Harvard Business Review e-book single entitled Nine Things Successful People Do Differently. It's a very quick read and enormously practical. It's under $4 on Amazon in a Kindle format (and if you don't have a Kindle, you can download one on your computer or other device to read it). For my premium subscribers, make sure to listen to your premium episode which includes free access to a planning worksheet to help you reach your goals this year. If you're not currently a Premium Subscriber, visit http://bit.ly/PremiumSubscribe to learn how to become one.